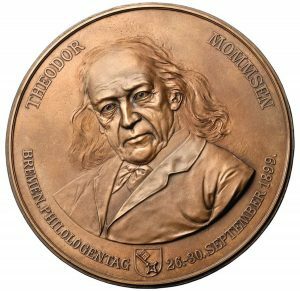 The online special exhibition “Theodor Mommsen (1817-1903) auf Medaillen und Plaketten” is the first public display of medals and plaquettes made in honor of Theodor Mommsen, 19th century Germany’s most famous ancient historian and Nobel Prize laureate in literature of 1903. The online exhibition will run from November 30, 2017 at the website of the Museum of the University of Tübingen MUT. 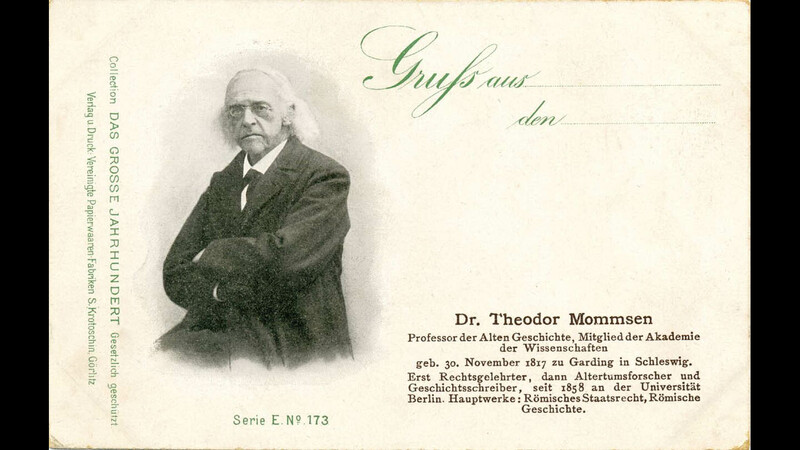 The formal opening of the exhibition will be held on November 30, on the occasion of the 200th anniversary of Theodor Mommsen’s birthday. The exhibition is accompanied by an exhibition catalogue, providing detailed information about the medals and plaques in their context of meaning and function.